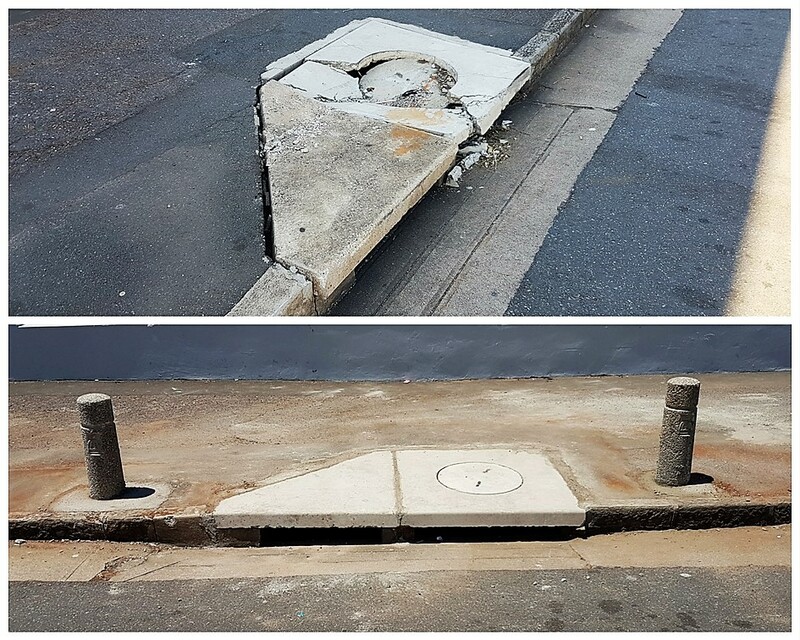 Last week the eThekweni Roads department gave their attention to the storm water drain near the Caltex. The storm water drain was repaired and the cover replaced, as well as installing bollards. This is a preventative measure, initiated by the Roads Department, in an attempt to discourage trucks from parking over the drain and causing further damage.